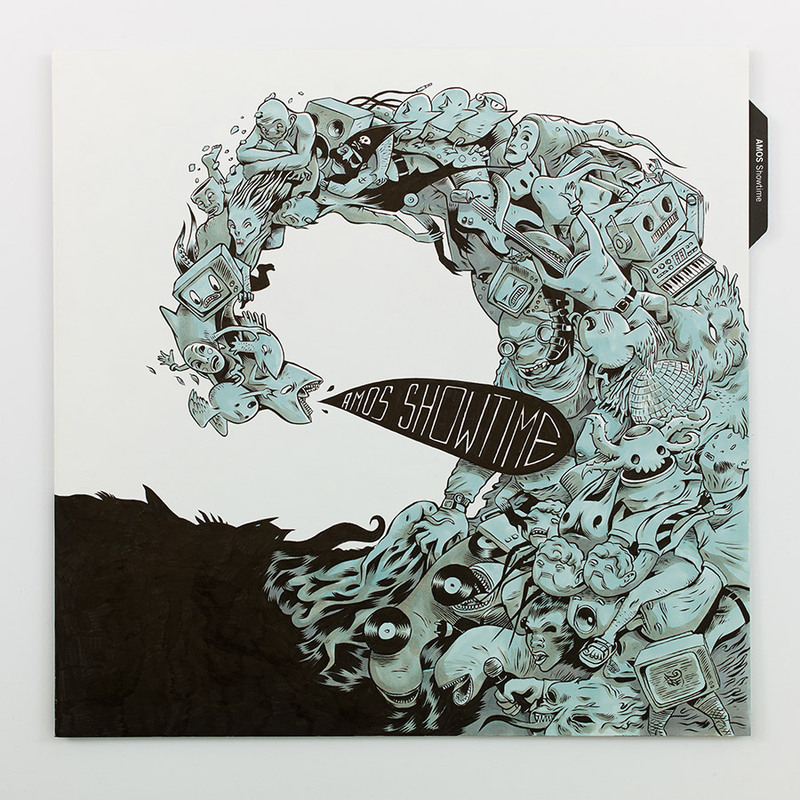 Cover illustration for the project Showtime by German-Iranian musician AMOS. 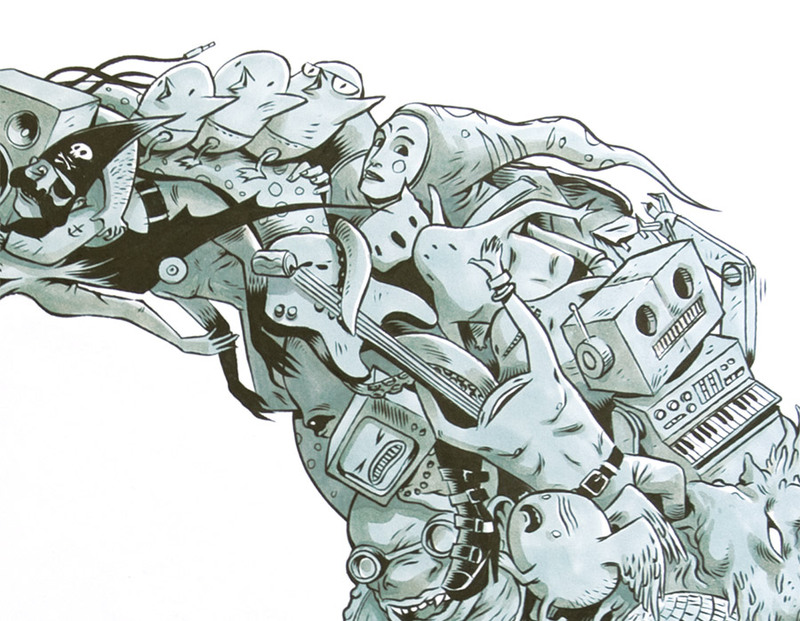 A surreal parade of creatures, memories and objects entwined in an energetic flow. It’s showtime, and everybody acts in sync, their minds linked together by invisible bonds, as if they were one giant organism. 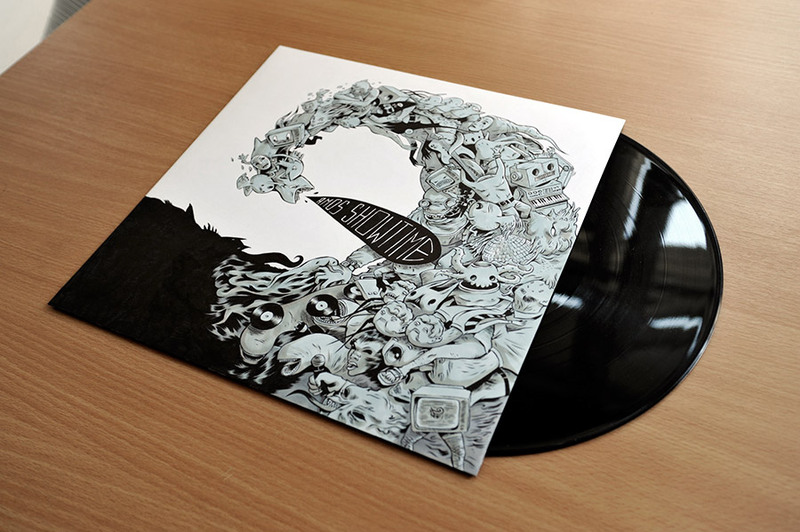 The idea was more to represent the (retro) mood and the drive of the album, than to be an illustration to it’s verbal content. Original work, ink and letraset on paper.